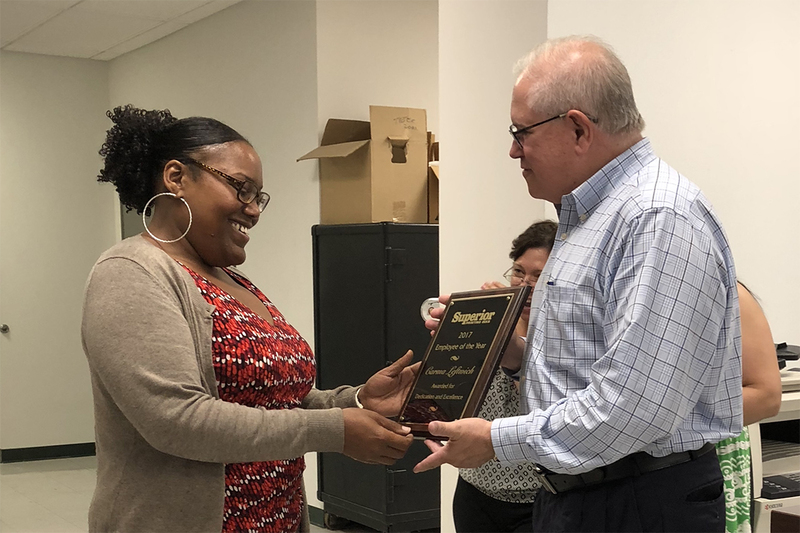 It gives me great pleasure to announce that Carma Leftwich has been chosen as this year’s recipient of Employee of the Year. This award is given annually to an employee that demonstrates exceptional work performance, dedication and always there to help out other departments. It is a prestigious honor that serves to recognize the best within our company. Carma has displayed great enthusiasm to learn and grow professionally. She has been working hard and also worked overtime to gain the maximum benefit from her work. Carma is also very active as a volunteer in her local children’s community center. The company has taken a note of and appreciates her high-level proficiency in handling tasks assigned and her level of volunteering in her local community. Please join me in congratulating Carma for receiving this award.